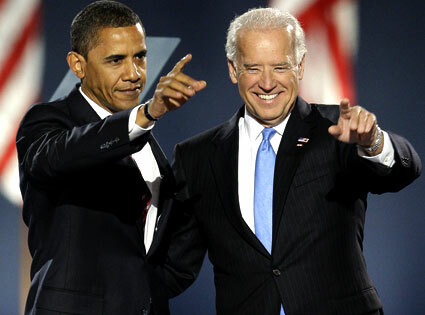 President Barack Obama and Joe Biden took the stage at the Democratic National Convention tonight in an attempt to rally the base towards a larger turnout in November. As has been the tendency this election, the speeches involved a lot of half-truths and questionable facts. We break down the claims below. This has been a common claim of the Obama campaign but accepting it ignores the crucial input of George W. Bush, who is widely attributed with keeping the auto industry afloat during the beginning of the downturn. While Obama clearly strengthened the auto industry, Bush created the floor that kept GM from failing and it is questionable whether the auto industry would not have survived without Obama’s additional bailouts. Biden: Governor Romney believes that it’s okay to raise taxes on the middle class by $2,000 in order to pay for over a trillion dollars in tax cuts for the very wealthy. Romney’s plans call for broad-based tax cuts for all Americans. As the U.S. tax system is progressive, any tax cuts inherently benefit the wealthy disproportionately, but at no point has Romney suggested that he would raise taxes on the middle class to afford his tax cuts for the wealthy. Biden: (Romney) has a new tax proposal — the territorial tax — that experts say will create 800,000 jobs, all of them overseas. Experts have suggested that the new tax would create about 800,000 jobs abroad, but through foreign employment growth, not through jobs migrating from America, as Biden implied. On the contrary, other experts have suggested the new territorial tax could generate as many as 5 million new domestic jobs. This is another frequent attack from the Obama campaign which isn’t supported by facts. Obamacare has ensured that Medicare will be fully funded through 2024. However, if repealed, Medicare would still cover about 87% of costs after 2016 and would cover over 60% of costs through 2050. That is not “bankrupt”. Obama: This country created over half a million manufacturing jobs in the last two and a half years. The numbers are correct, if you count from February 2010, the preferred date of the Obama campaign, as it gives the most favorable view of the administration. This time period does not include the 2 million manufacturing jobs lost during the recession. This is based on a recent prediction that oil dependency will fall to its lowest levels since the early 80’s. However, experts attribute this more to the economic downturn and than to any of Obama’s policies.